Strava has many wonderful features, but it’s ability to handle lots of your GPS tracks at once is not one of them. The training log is very pretty and the “My Activities” page just about bearable for viewing batches of 20 things at a time, but if you want to do things like flag a bunch of forty rides as commutes or record that you used your new shoes on every run in the last month, you’re in for a painful few hours of clicking. 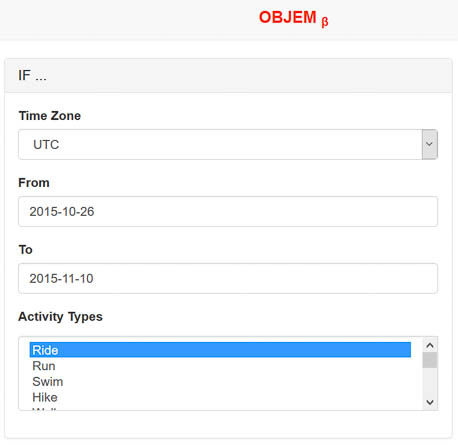 Fear not, for I’m about to show you objem – a Strava bulk updater. 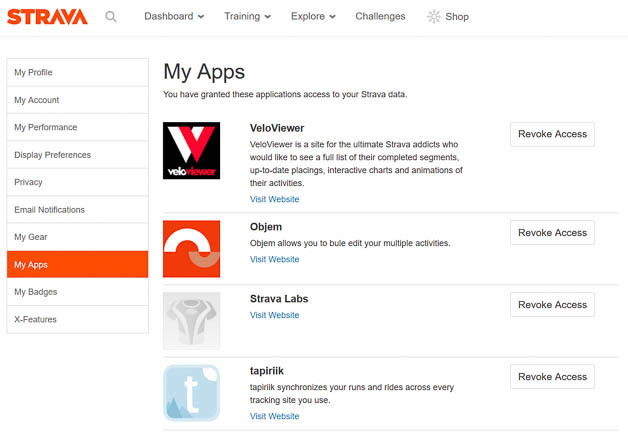 Objem is a Strava app; a standalone thing that you grant permission to read and interact with your Strava data. 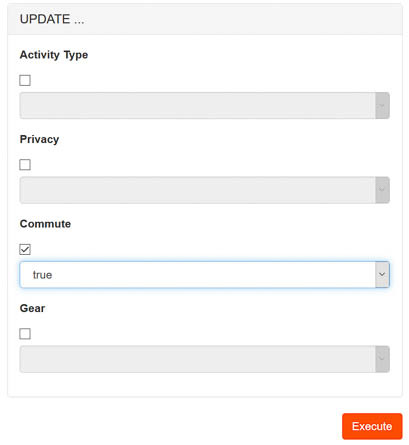 It allows you to make basic changes to multiple activities in one go, rather than editing each one individually. It’s a little buggy, but it is only a beta. You can manage access from here. If you find objem useful you can also get back to it from here by selecting “visit website” (particularly handy if the name “objem” isn’t something that sticks in your mind…). 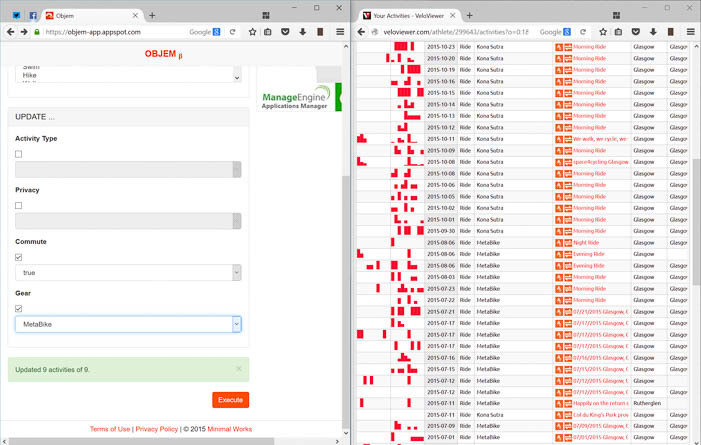 If you decide it’s not for you, you can revoke permission for objem to see your data from here as well. I’m going to work through an example. I happen to know that I didn’t flag a bunch of rides as commutes earlier this year, and that some are also recorded against the wrong bike. I’d like to fix this. First, I’m going to go to VeloViewer (another app that excels in slicing and dicing your Strava data which I talked about briefly here). You don’t need use VeloViewer if you know what activities you want to update, but it makes the workflow a little easier if you’re unsure. From the activities page in VeloViewer, I’m going to filter on rides in the last year that aren’t flagged as commutes. Expand the filter box to do that; you’ll have to manually add the commute filter by selecting “commute” from the add filter dropdown and hitting that big red plus icon. This gives me a bunch of rides. I know most of these are commutes because of the time, distance, and because I don’t give my commutes specific titles. Let’s flag these as commutes. A quick caution before we go further: there’s no warning box in objem that tells you how many activities you’re about to update, nor is there an undo. Take care! 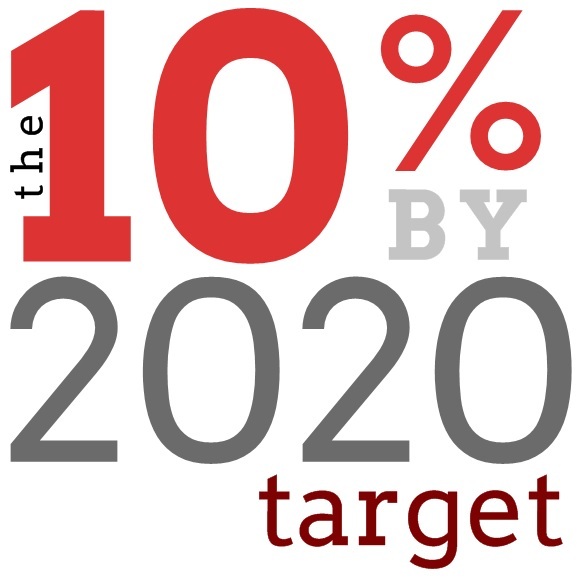 With that in mind, I’m going to update things in batches of ten rides at a time. Any activities that match these filters will be updated. 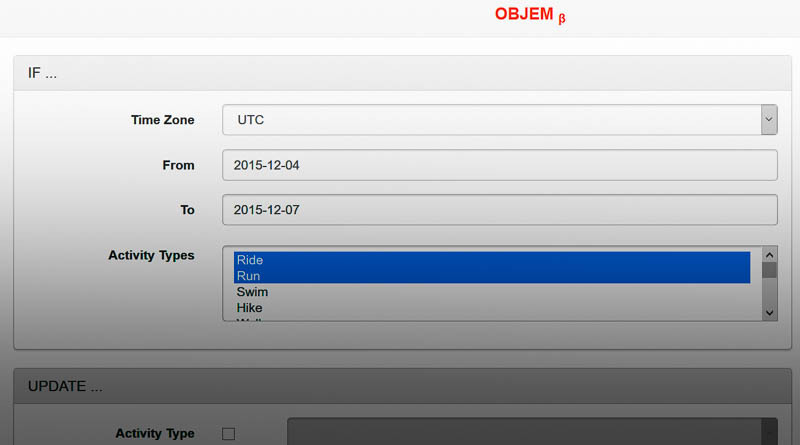 If we leave a checkbox unticked (for example the gear dropdown), Objem will leave that particular bit alone. If you get a red failure check that you haven’t done something daft like got your filter dates the wrong way round. 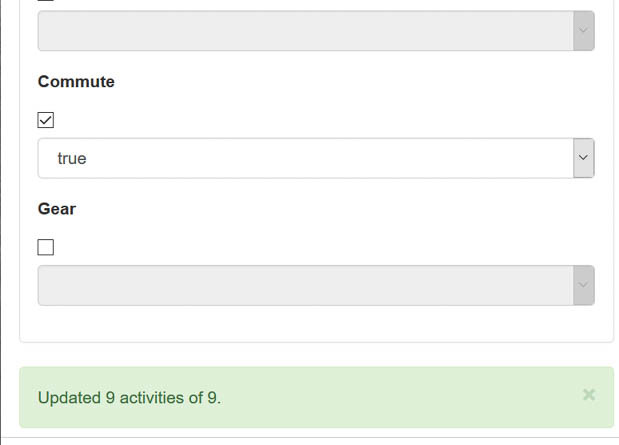 If everything looks OK, try updating fewer activities in one go. If nothing makes it work, go and have a cup of tea and try again later. This is a beta, after all. By adjusting the date filters I can work all the way back and correct all my data. Where I needed to change the bike and flag commute, I just checked both those boxes for the relevant rides. If there’s a single ride you don’t want to update in a bunch of others, I find it’s quicker to update everything with Objem then use the little Strava icon to the left of the ride title in the VeloViewer list to jump straight to the Strava ride and edit it back. That’s also a neat way of checking that the rides you were expecting to have updated actually have. 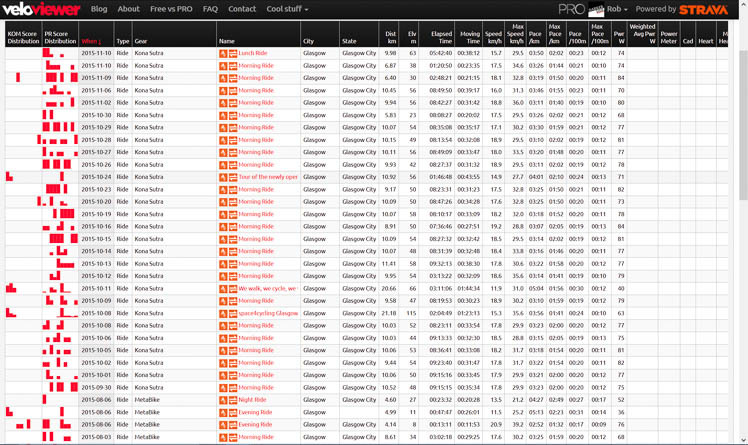 VeloViewer on one half of the screen and Objem on the other; a recipe for Strava data happiness! PS: Posts on VeloViewer and Tapiriik coming soon! PPS: If you are using VeloViewer, remember to re-download all your updated activities after any bulk changes. Great idea that was pointed out to me by Strava techs. Why is it closed?